* ❤ Khaori Sato オフィシャルブログ ❤ *: Palty Bleach Hair dye Review. Palty Bleach Hair dye Review. 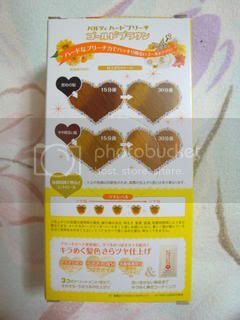 Few days ago, I dyed my hair using this product called Palty. I went to drugstore to buy some stuff and I found this product and I wanted to try it!! So I bought one and I choose Palty Bleach in Gold Brown. Okay, here's my hair before..
We followed the instruction written on the box. And after applying the hair color, we wait about 30 mins. I was pretty impressed with this product!! Now, I was able not to go to salon to dye my hair.. 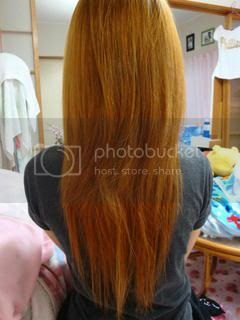 The Palty costs only 700yen.. much much cheaper than going to salon to dye your hair!! So dont hesitate to try this product! I recommend this product to everyone who wants to dye their hair without spending lots of money.. I hope you like this review.. I'm Khaori, 20 yrs old, a Japanese Filipina gal from Niigata, Japan. A blogger and a freelance MUA. KhaoriSato. Picture Window theme. Powered by Blogger.